It has been a busy month for me and Art In Wax, I have painted lots of new pieces of Art In Wax, these are a few of my latest pieces which I thought might make a nice selection to show here, I show my work on a regular basis on the Art In Wax facebook page, why not pop over and see whats going on …..
Top Row From left to right …. An A3, shown here mounted, garden scene. 3rd Row From left to right …. Small Chicken and a chicken card – a fun but challenging piece, first time I’ve painted a hen before. A4 Lavender – inspired by the lovely lavender now in flower in our garden. Many of the pieces of Art shown on my blog are for sale, they may or may not be listed in my shop so please contact me if you are interested in purchasing a piece of my work. As we come to the close of 2014 I thought it might be fun to make a slide show of some of my miniature paintings. 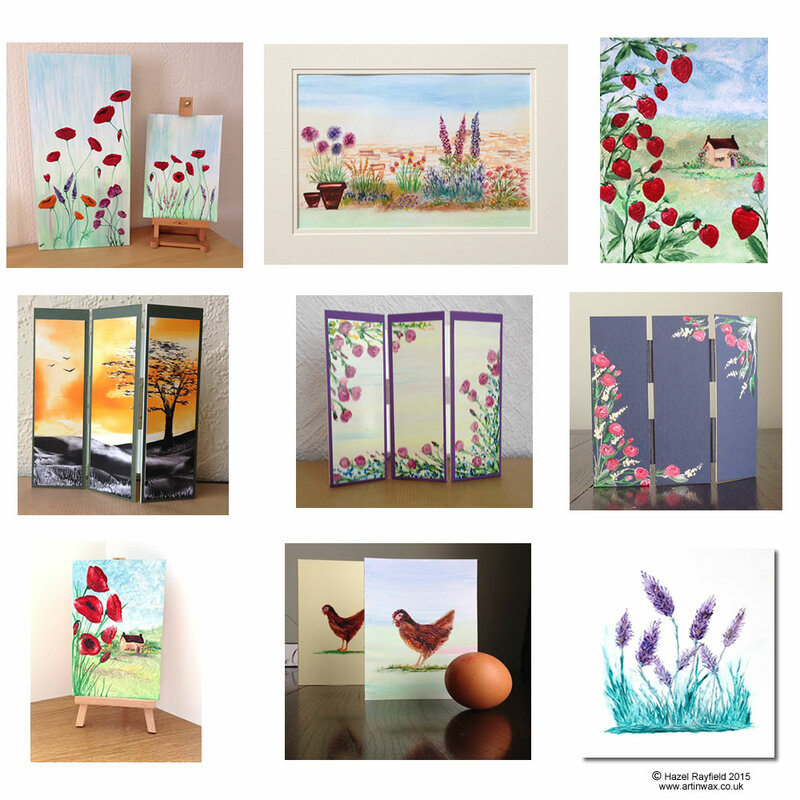 I have today created a collection of my miniature art, these are pictures that are either on display in my own 1:12 scale Art Gallery that my husband Adrian built for me, he is very clever and patient, making a beautiful miniature property for my own tiny art collection. Other paintings included in the slide show are sold or commission pieces and some are on sale in my various shops online. Did you enjoy the slide show ? Art In Wax in all sizes is available online to purchase via Art In Wax website Shop or in my outlet shops on Etsy and Folksy all the shops have unique pieces no two places have the same pictures so lots of choice to suit many styles and tastes. 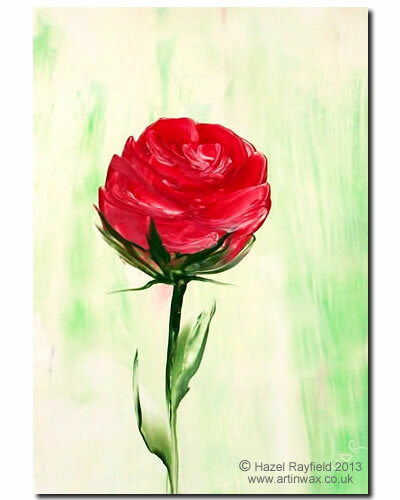 Art In Wax website Miniature Art shop : Free UK postage on all paintings direct from the Art In Wax website. Internationally orders welcome please contact me for postage costs. Miniature Art In Wax via Etsy I ship worldwide.